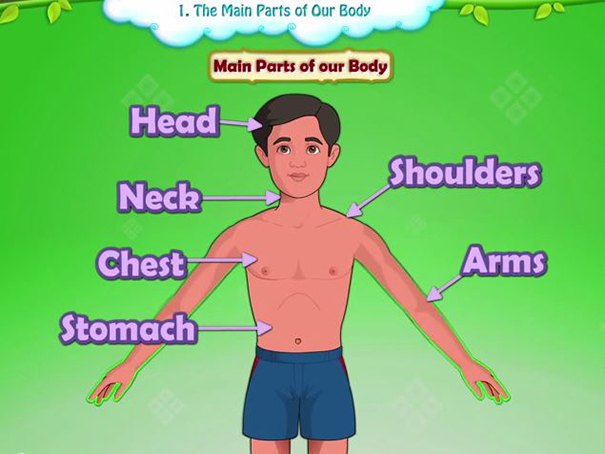 In this video you will learn the names and uses of different parts of the body. The video is very good and everything is labeled very clearly. As you go through, you will learn about each body part in more detail.